Sectoral segmentation seriously hampered the comprehensive management of water resources in China. In order to solve this old and difficult problem, at the end of 2016, the Chinese leadership decided to promote the implementation of the River Chief system （河长制） in the whole country based on experiences from some provinces. The river chief system is aimed at promoting better coordination among government departments to protect the country’s water bodies. The river chief system, with the characteristics of local leaders assuming overall responsibility for river and lake management, is a management system for rivers and lakes and is linked to the accountability system of environment protection and performance evaluations of top officials. It was first implemented in Wuxi, East China’s Jiangsu province, in 2007 to solve the algae problem in Taihu Lake. Wuxi municipal authorities made the local chiefs at different levels the river chiefs, too, giving them the full responsibility of water and environmental management. The move proved a big success, as algae pollution is now a thing of the past. The river chief system will be established at the provincial, municipal, county and township levels, and the government heads of every province, autonomous region and municipality, by default, will be the general river chiefs. The implementation of the river length system will undoubtedly break the barriers of sectoral division to the comprehensive management of water resources. But according to the Decision of the Thirteen National People’s Congress on the reform plan of the State Council in March, 2018, the Ministry of water resources that was the core ministry of water resources management of China, its many functions have been transferred to other ministries. The responsibilities of water resources survey and water right registration are transferred into the Ministry of Natural Resources; the functions of water function zoning, sewage outfall management and water environmental protection in the basin are organised into the Ministry of Ecology and Environment; the function of flood prevention and drought resistance to the Ministry of emergency management; agricultural water conservancy project management functions are allocated to the Ministry of Agriculture and Rural Affairs. Although the detailed functional divisions of the ministries are still in progress, from this new reform plan, we can clearly see that the functions of water management have been greatly segmented further. The water resources management belongs to the Ministry of Water Resources and the Ministry of Natural Resources, the water environment is managed by the Ministry of the Ecological Environment, the flood disaster returns to the Ministry of Emergency Management, while the agricultural water conservancy projects belong to the Ministry of Agricultural and Rural Affairs. Reverse directions of integration and segmentation? 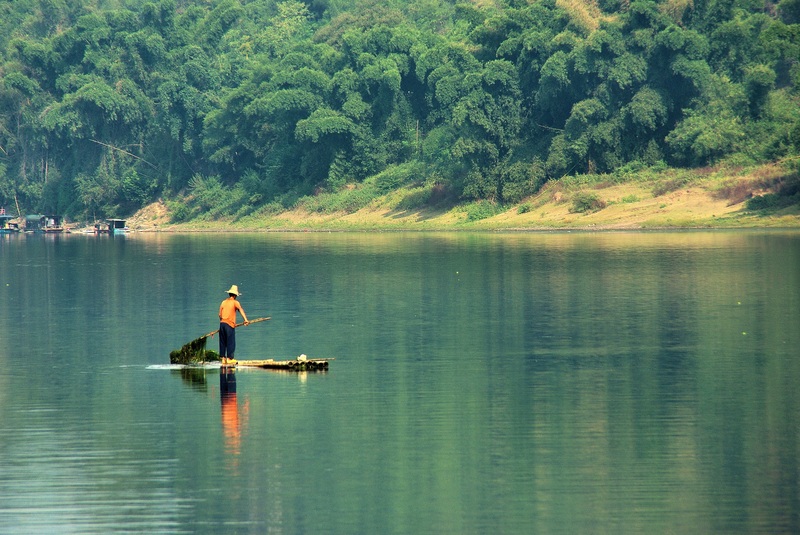 There seems to be two contradictory directions in the management of water resources in China: the integration embodied by the river chief system and the segmentation symbolised by the weakening of the responsibilities of the Ministry of Water Resources. Are they really contradictory? The Chinese leaders emphasize the top design of the reform. The Central Reform Leading Group headed by Xi Jinping is commissioned to design and coordinate the reform. Both the river chief system and the newest State Council reform plan were approved by the Central Reform Leading Group. So it’s rational to reason out that those two seemingly contradictory institution designs are coordinated within their tip design. Why the responsibilities of water resources survey and water right registration are transferred into the Ministry of Natural Resources? It’s because the top design wants to enhance the integrated management of natural resources. Besides water resources, all other natural resources, including mineral resources, land, forest, grassland and marine resources are under the administration of the Ministry of Natural Resources which are set up based on former Ministry of Land Resources and National Forestry Administration, absorbing part of original management functions of former Ministry of Water Conservancy and Ministry of Agriculture. Water resources is thought as one kind of natural resources, so it’s logic to put it under the administration of the Ministry of Natural Resources. Similarly, why the functions of water function zoning, sewage outfall management and water environmental protection in the basin are organized into the Ministry of Ecology and Environment? It’s because ecology or environment is a bigger system than water and water is one kind or part of the bigger system. For enhancing the integrated management of ecology and environment, it’s necessary to put water environment under the administration of the Ministry of Ecology and Environment. As to the function of flood prevention and drought resistance is moved to the Ministry of Emergency Management, it’s because water disaster is only one kind of disaster and the newly constructed Ministry of Emergency Management is responsible for the prevention and resistance of all kind of disasters. Water is important, and water is everywhere. But the position of water in macro system is a little embarrassing—it’s only one kind or one part of bigger natural resources system, ecosystem, environmental system and disaster system. According to this set of discourse power system, water management must obey to the management of lager system. For the integrated management of natural resources, for that of ecology and environment, and for that of disaster, the integrated management of water resources is traded-off. The decision makers must have noted and considered the problem of segmentation of water management within above State Council reform plan, so they set up river chief system for enhancing the coordination of integrated water resources management in advance to balance severe segmentation of functions of water management within many ministries. It’s really a combination of extreme dispersion and powerful coordination embodying the great wisdom of two-way regulation. In fact, we have similar two-way regulation in other reforms. The ongoing comprehensive reform of agricultural water price in China adopted one kind of two-way regulation strategy: in one direction, lifting water price to promote water conservation, in the other direction, supplying awards or subside to farmers based on their water saving or production to lighten their burdens. Because the reform is ongoing, we maintain to observe the new progress eagerly. Shaofeng Jia is Professor at the Institute of Geographic Sciences and Natural Resources Research, Chinese Academy of Sciences, Beijing, China. Image credit: CC by Dezalb/Pixabay.